Whether you’ve been lifting weights for years or you’re just getting started, you’re probably wondering when you should increase the amount of weight you’re lifting. A great indicator that you should select heavier weights is if you never feel fatigued after completing multiple sets of a particular exercise. For instance, if you know you can easily do more than 12 reps of a weight without being fatigued, you should increase the weight. 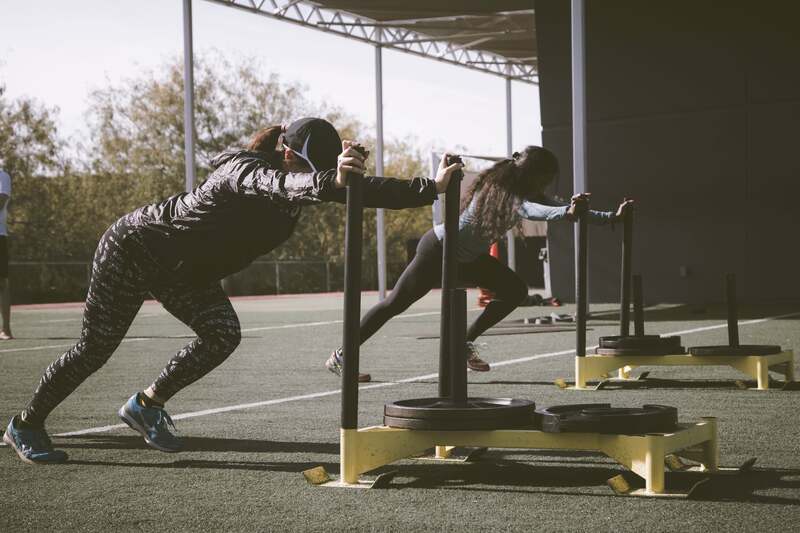 As you continue reading, you’ll see that there are three different training phases addressed, each with instructions on how to increase your strength. To determine how much weight you should be lifting during each phase, you’ll need to know what your one-rep max (1RM) is. This is the maximum amount weight you can lift for any given exercise with proper form. If your 1RM for barbell squats is 75 pounds, in the strength endurance phase, you would be lifting between 37.50 and 52.50 pounds whenever you perform barbell squats. Here are some tips to help you along the way. There is no standard weight to begin with, as everyone’s strength levels will vary. If you’re new to lifting, begin lifting just the bar to become familiar with the movement pattern, and then increase the weight by 10 pounds. Training for strength takes time – literally months! You’ll want to spend the necessary amount of time in each phase to ensure that your muscles are reaping the benefits of the particular phase. In general, it will take anywhere from eight to 12 weeks to see an increase in your strength. Because your body will be experiencing a lot of stress, in order to improve muscular growth and strength, you’re going to need to become religious with recovery work. This means eating properly, eating protein, improving your mobility, foam rolling, stretching, and sleeping.